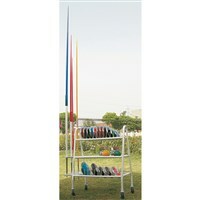 Made of heavy steel tube. 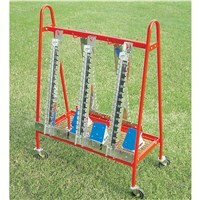 Suitable for 30 Javelins. Made of heavy steel pipe. 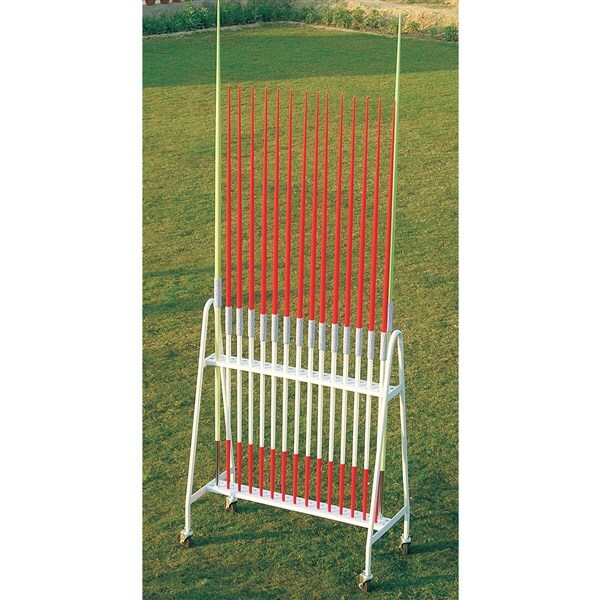 Suitable for 12 Javelins, 12 Shots and 30 Discus. Comes with extra durable wheels. Foldable to reduce freight cost. Made of heavy steel pipe. Suitable for 12 Shots and 30 Discus. Comes with extra durable wheels. Foldable to reduce freight cost. 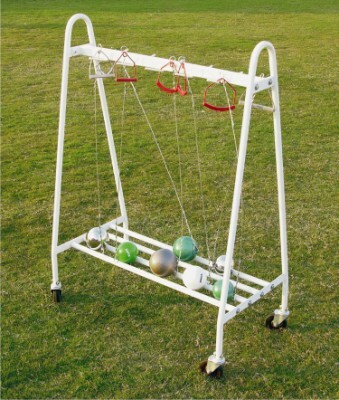 Made of heavy steel tube, with 2 swivel wheels. 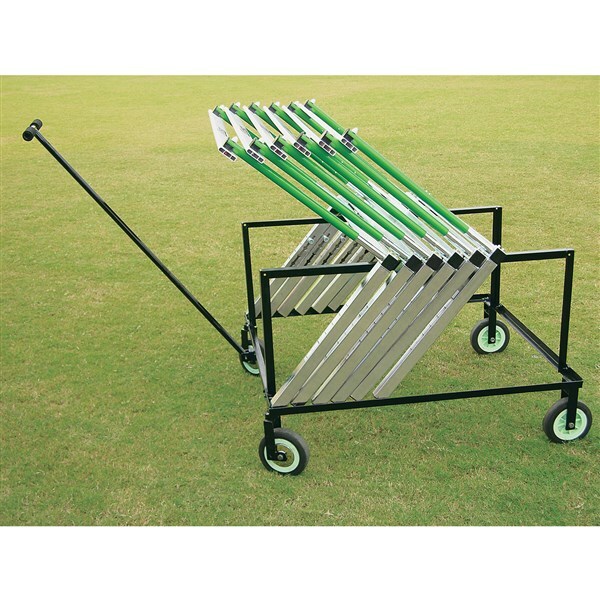 Suitable for carrying 18 Hammers. 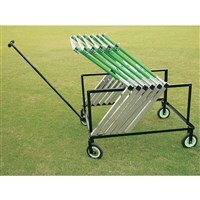 Cart is made of steel, with larger diameter (20 cm) wheels for easy transportation. 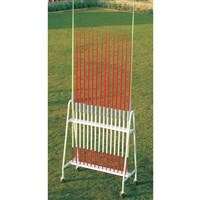 Powder coated for durability and comes in 2 variants to carry 10 and 20 Hurdles. 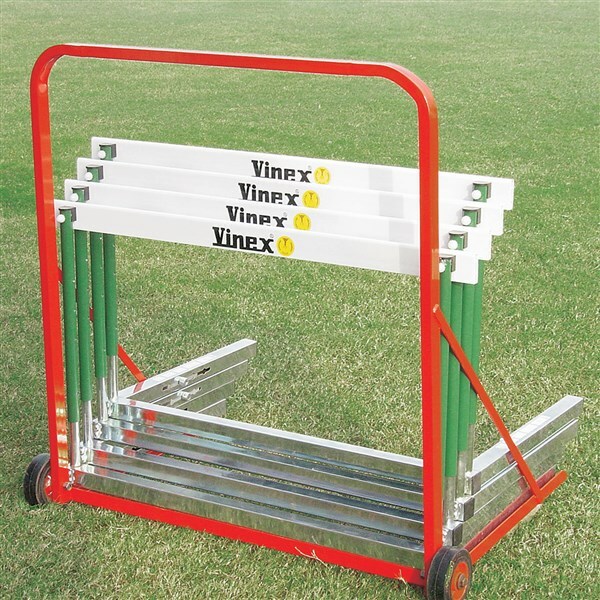 Features 2 x Revolving wheels and 2 x Fixed wheels. 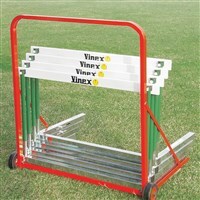 Cart is made of steel and can easily carry 10 hurdles. 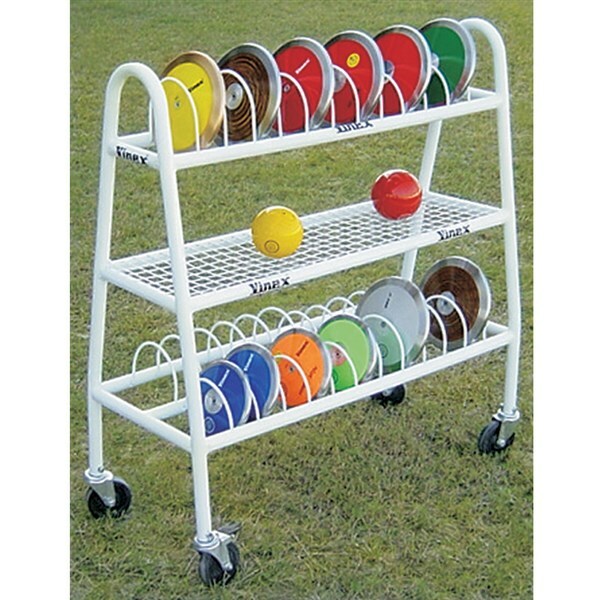 Features powder coating, Heavy Duty wheels with locking device. 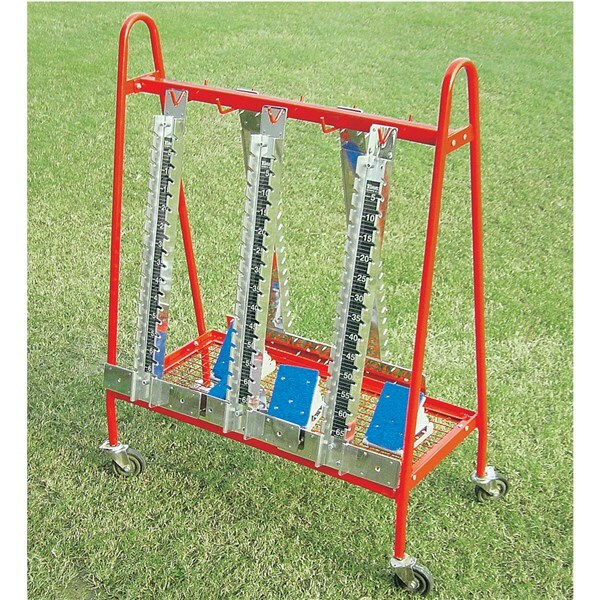 Cart is made of steel and can easily carry 10 starting blocks. 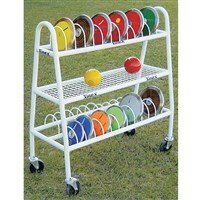 Features powder coating, Heavy Duty wheels with locking device.